Elon Musk's underground transportation is his answer to what he calls "soul-destroying traffic." 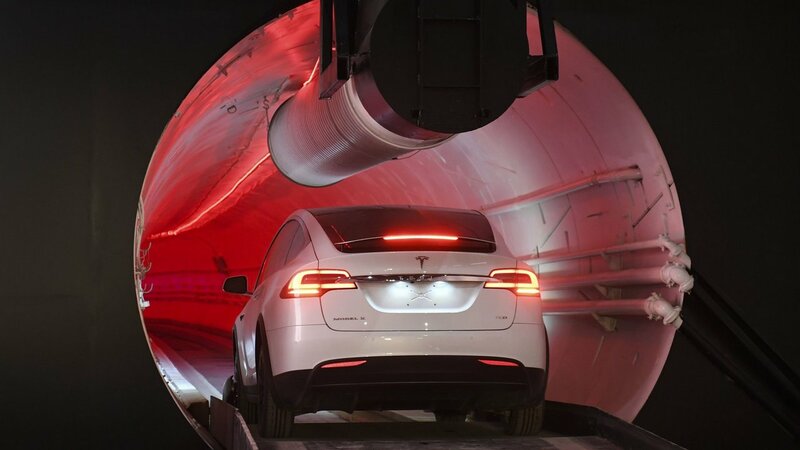 Elon Musk unveiled his underground transportation tunnel on 18 December, allowing reporters and invited guests to take some of the first rides in the revolutionary albeit bumpy subterranean tube — the tech entrepreneur's answer to what he calls "soul-destroying traffic." The demo rides were also considerably slower — 40 mph (64 kph) — than what Musk says the future system will run at: 150 mph (241 kph). Still, it took only three minutes to go just over a mile from the beginning to the end of the tunnel, the same amount of time it took to accomplish a right-hand turn out of the parking lot and onto a surface street even before the height of Los Angeles' notorious rush-hour traffic. 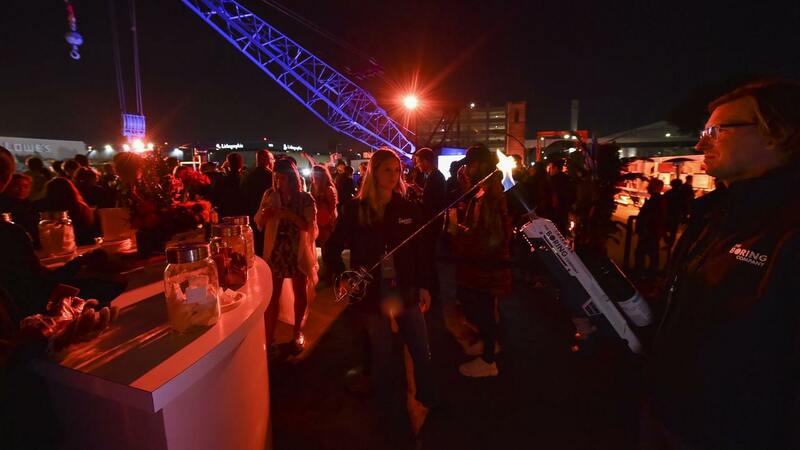 "I am actually going to do this," he added in response to initial skepticism, a Tweet that was blown up and posted near the entrance to the tunnel for Tuesday's event, along with other Musk tweets like, "Defeating traffic is the ultimate boss battle." The tweets were a nod to Musk's sense of humor. 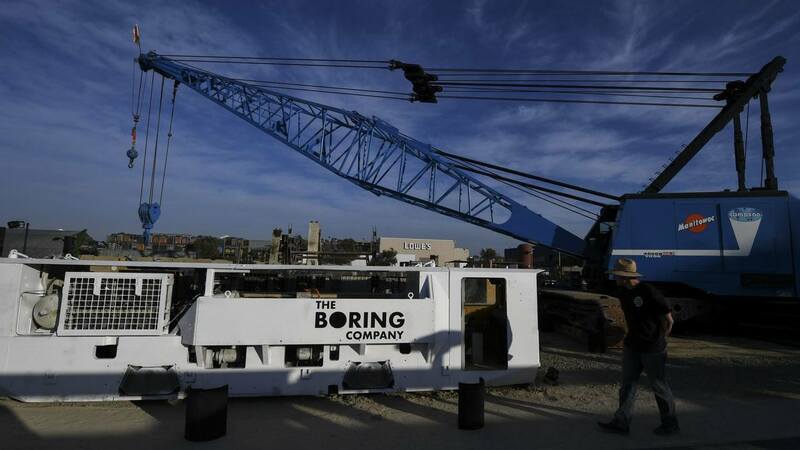 Just after announcing he was creating a tunnel, he began The Boring Company, tongue in cheek intentional. 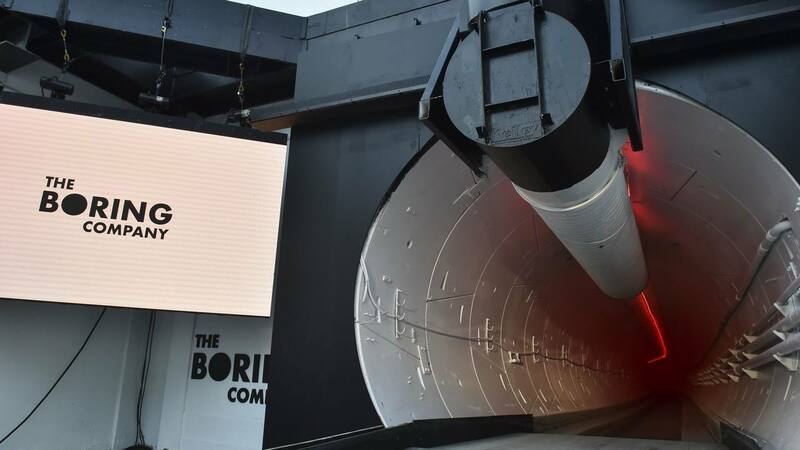 Since his announcement, Musk has only revealed a handful of photos and videos of the tunnel's progress. On Tuesday, he explained for the first time in minute detail just how the system, which he simply calls "loop," could work on a larger scale beneath cities across the globe. Autonomous, electric vehicles could be lowered into the system on wall-less elevators the size of two cars. Such elevators could be placed almost anywhere cars can go. "It's much more like an underground highway than it is a subway," he said. "It's not like you're going through a whole series of stops. 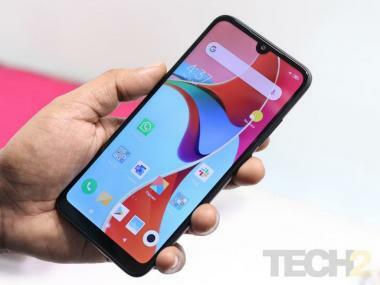 Nope, the main arteries will be going super fast, and it's only when you want to get off the loop system that you slow down." Musk said he scrapped his previous plan to run the cars on platforms called skates. Instead, the cars would have to be fitted with specially designed side wheels that pop out perpendicular to the car's regular tires and run along the tunnel's track. The cost for such wheels would be about $200 or $300 a car, Musk said. He said tunnels are the safest place to be in earthquakes — sort of like a submarine during a hurricane is safest beneath the surface — and addressed other concerns such as the noise and disruption of building the tunnels, which he completely dismissed. When workers bored through the end of the test tunnel, for instance, the people in the home 20 feet (6 meters) away "didn't even stop watching TV." Musk explained just how he's cutting costs. 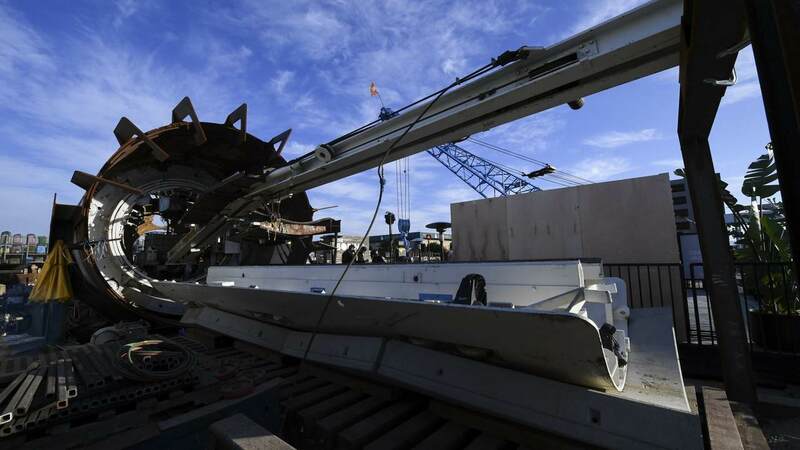 Measures include improving the speed of construction with smarter tools, eliminating middlemen, building more powerful boring machines, and instead of hauling out all the dirt being excavated, Musk is turning them into bricks and selling them for 10 cents. And he's not doing it for the money, he said, adding that it's for the greater good. "Traffic is a blight on everyone's life in all cities," he said. "I really think this is incredibly profound. Hopefully that is coming across." 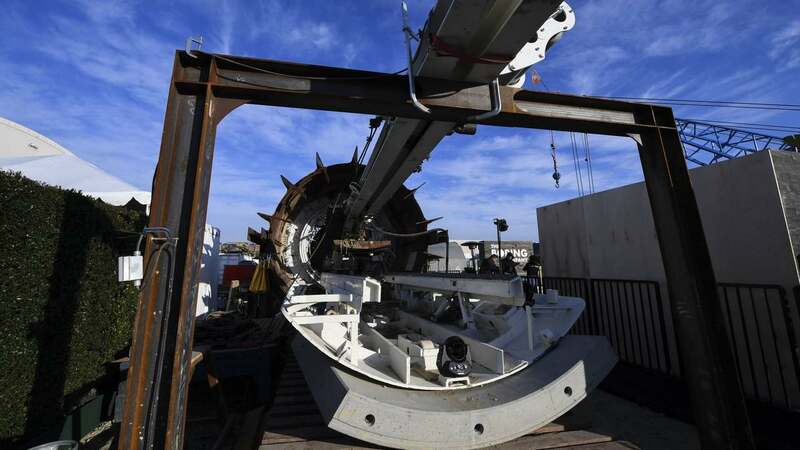 Already on Tuesday, Musk's representatives unveiled a new tunnel-boring machine they say they hope to have online soon, one that can bore four times faster than the one they've been using. Musk's vision for the underground tunnels is not the same as another of his transportation concepts known as hyperloop. That would involve a network of nearly airless tubes that would speed special capsules over long distances at up to 750 mph (1,200) kph), using a thin cushion of air, magnetism and solar power.